Pagico Plus was developed for the iPhone from the ground up and offers a clean and colourful user interface, fast data entry, searching and syncing. It is available from the iTunes Store for $9.99 and complements Pagico’s iPad and desktop versions. 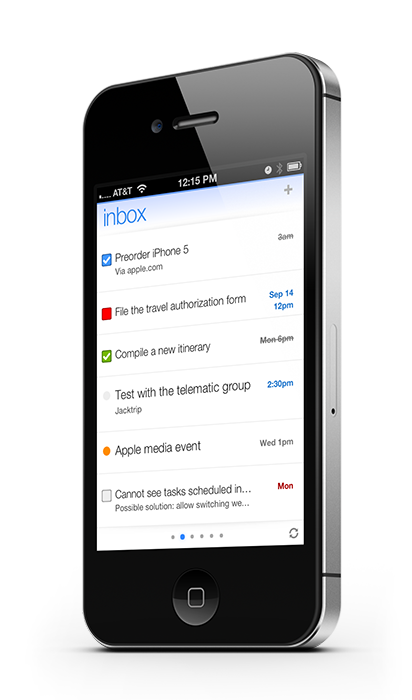 The iPhone app requires IOS 6 and is compatible with the iPhone 4, 4S and 5. Read on for more information and screenshots. The primary views on Pagico’s iPhone app are the inbox, a calendar view (called ‘agenda’), the workspace view (which lists your projects), individual project views and the contact profile view. The agenda view shows due and overdue items and scrolling down brings up actions that are due later in the week, as well as ‘next actions’. Scroll up to see the ‘logbook’, which shows completed tasks and those that have been marked ‘someday’. Pagico workspaces are like folders that store projects and contact profiles. I have explained the Pagico system in my earlier post. The Pagico iPhone app comes with a free workspace and the app contains explanatory notes as well as links to online help pages that explain these features in more detail. Despite the absence of a ‘context’ view, Pagico Plus has a number of features that support a GTD®-based approach to task management (inbox, projects, next actions, someday view). Pagico Plus for iPhone lets you add, edit, move, email and delete actions. 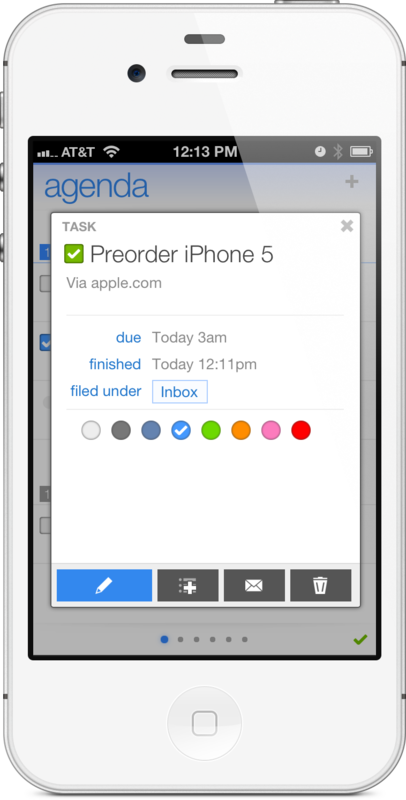 You can also assign your tasks a due date, a colour, link them to a project and add notes. 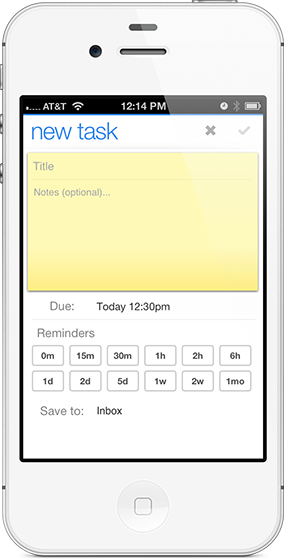 Pagico’s iPhone app introduces a reminder function — a useful addition, which so far has been absent from the desktop and iPad versions. The app also has a great file viewer, which lets you bring up and view files uploaded through the desktop app and stored in your project folder. I tried this out and was able to sync and view Word, Excel and jpeg files associated with one of my projects (and more file types are supported, including Pages and Numbers and PDFs). As far as team collaboration is concerned, you can click on the ‘info’ button in the top corner of a workspace and invite others by email to share your Pagico workspace. Users who do not have the desktop app can use the Pagico web interface (at http://my.pagico.com) to create a Pagico user ID, log in and create a workspace. The developers advise they intend to roll out functionality that will make it easier to share a workspace using only the iPhone app. 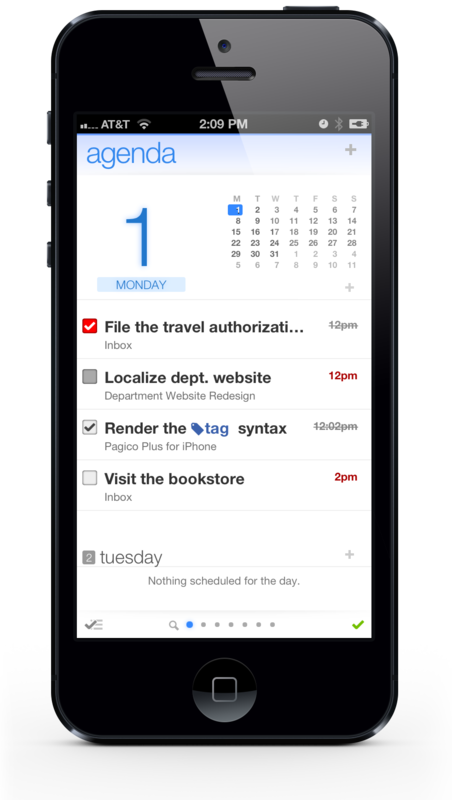 Pagico Plus for iPhone is a snazzy addition to Pagico’s productivity platform. It is fast, beautifully designed and easy to navigate. It syncs instantaneously with the iPad and desktop versions (which have to be purchased separately). Having ready access to your tasks is just the beginning; this elegant little app becomes quite a project management powerhouse when you realise you can also access your contact profiles and key project documentation in a variety of file formats. For newcomers the Pagico iPhone app provides an impressive introduction to a versatile productivity platform — though not all Pagico features are available unless you also have the desktop version. Those already using Pagico will need little encouragement to extend the mobility of their app to the iPhone. The developers provided me with screenshots, a free version of Pagico’s Professional Edition and access to the beta version of Pagico Plus for the purposes of this review. This entry was posted in productivity and tagged iPhone, pagico, productivity, project management, to do app by Gilbert Van Hoeydonck. Bookmark the permalink.